Home / Personal Finance / How to Check Status of My Tax Refund ? When you electronically file your returns, so there is no guessing game if the IRS has your tax documents. 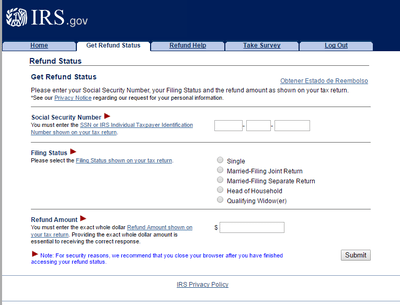 Click here to check the status of your refund. Exact refund amount as shown on your tax return.